Picture is for reference only. The model shown is SP640TV. 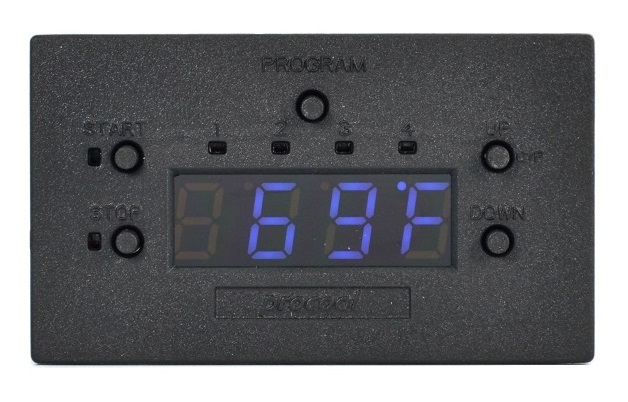 The SP640C features the Procool Fan Controller with temperature display. The fan controller starts and stops the fans at the user programmed settings. The Blue LED display shows the temperature in C or F. Or, the display can be shut off during operation. The rear selector switches from TC (temp control) to ON. In TC mode the controller functions by temp settings, in ON mode the fans will turn on and run until turned off. This bypasses the temp sensor and settings.